Vietnam , one of the most favourable country these days when it comes to Textile & Garments including Denim. A Country which holds 10 bilateral and multilateral trade agreements, including ASEAN Free Trade Area, five ASEAN+1 FTAs, and FTAs with Japan, South Korea, Chile , Russia and the Eurasia Economic Union and a country which is expected to execute CPTPP & EVFTA by the end of this year. Vietnam has evolved as a major denim player in past few years and expected to grow faster in coming years due to its geography and advantages due to its demographics and policies. Statistics shows that by the end of 2017, Vietnam had attracted 2,079 projects in the garment-textile sector with total capital of 15.75 billion USD, up 10 percent year-on-year. Investors come from 57 countries and territories nationwide, with major ones from Taiwan and Hong Kong (China) and the Republic of Korea (RoK). Growth of exports of denim from Vietnam was over 25% in 2017 ! In the first six months of this year, reports have confirmed that the investment worth 2.8 billion USD in FDI was injected into Vietnam’s garment-textile industry . The Chief of Vietnam Textile And Apparel Association (VITAS) asserted that Vietnam’s garment-textile export revenue is going to hit 200 billion USD by 2035. 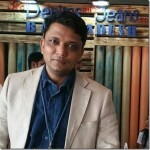 Denim is also major part in the entire periphery of Textile & Garment and is expected to achieve an annual growth rate of 30% so far as US export is concerned . The country is also getting strong hold in EU market and post the implementation of EVFTA , the country will become stronger. After the tariff war between US and China , a substantial production shift in Vietnam is expected and if the trade war remains for longer time , China’s loss will be Vietnam’s gain. In this report , we’ve analysed the denim exports of Vietnam to US from 2014 to June 2018 and it gives an idea how the country is growing rapidly.